I was on my way back from Strasbourg with my brother- he had been waiting for me outside the school. It had been snowing all day, later, the sky had cleared up. One could still see some patches of snow on the side of the road. The night was cold, so bitterly cold that my nose was running. Not a single cloud to overcast the full moon. In the distance , I could see the dark, round Vosges range standing out against the clear sky. What if we took the direction of Mount Ste Odile? We had plenty of time, the road was empty and the sky was clement. The way up did not take long since there was nobody on the road. The headlights revealed moving shades between the pine-trees on the still pristine snow. The shadows followed us dancing, circling all along the way. Behind us, darkness fell like a door closing. 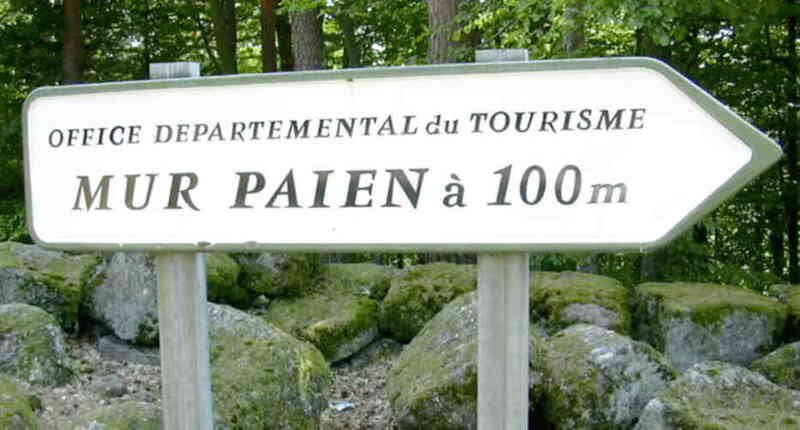 We stopped at a small car park, we saw a sign with “Pagan Wall at 100 metres” written on it. “Pagan wall”? What was this? I had never heard of it! As we switched off the lights, we found ourselves in the dim light of the wood. Our eyes took some time to get used to it. There wasn’t a single noise. We went a few steps in the snow, with a muffled sound. We were only accompanied by the moon, which was shining weakly between the bare trees. After some 10 meters, I could see it, long massive, quiet and motionless. The play of light and shadow was giving it an almost frightening aspect. Something imposing was emanating. 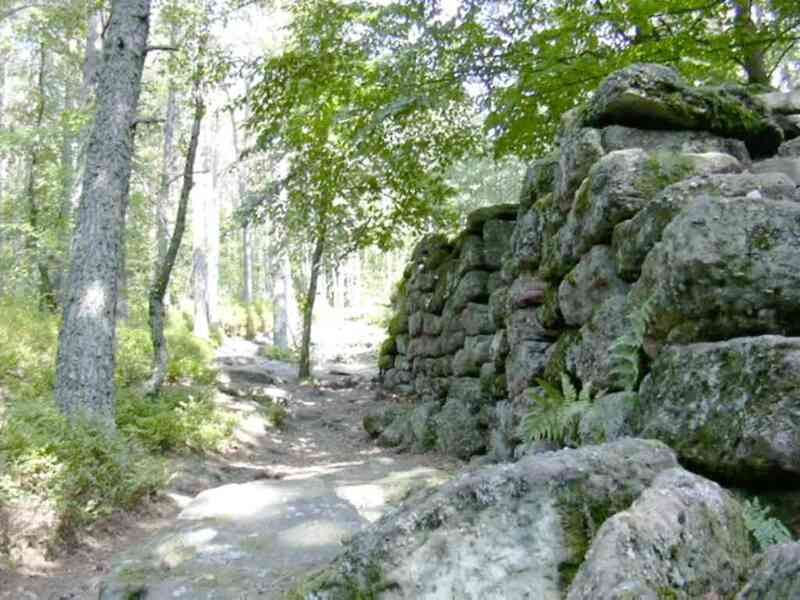 It was the WALL, a collection of stones that had been there for centuries built by human beings whose trace had been lost in the dark history of the mountain. After walking across the forest for a few hundred meters, we reached Maennelstein Rock that was overlooking the Alsatian plain. The bitter cold, absolute silence, the light gleam of the moon amplified the impression that we were in a unique place, delimited by the wall. It was a revelation, as if struck by lightning. I felt I had to know more about that place, the megalith and the mystery that emerged from it. This is when my research started. I returned there many times: when the weather was fair, when it was foggy, raining, snowing or at night. It was never the same. I always had the impression that the place had something special. And today, when I am walking along the wall, which has revealed but few of its secrets, I still haven’t found what it is. Here begins the trip towards the mystery that I invite you to discover. I hope this site – even though it needs to be completed – will make you feel like learning more about this magic place.